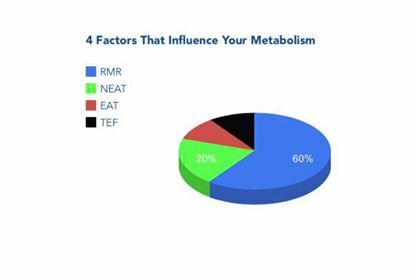 The majority think metabolism is just your resting metabolic rate (RMR), but its so much more than that. This is all the movement you do that is not planned exercise e.g. moving your hands, walking to the shops, cleaning. Out of the 4 factors i mentioned above, the one you can influence the most is NEAT. Find ways to be on your feet more. This is why i am a big advocate of tracking your steps and keeping on about hitting 10,000 steps a day. I advise getting a steps tracker to ensure your burning calories, that you creating a large energy output. However it’s important to bare in mind controlling your calorie intake- no point of increasing NEAT if you are not eating less.